Company backs Two Sides and Print Power campaigns. Richard Gray MD Prinovis UK Prinovis UK Ltd, part of 'Be Printers', the print division of Bertelsmann, has announced its support of the Two Sides and Print Power campaigns, promoting the sustainability and effectiveness of print. A member of Europe's largest print service provider, Prinovis UK brings considerable backing to the Two Sides and Print Power campaigns adding further strength, influence and support to the initiatives as they continue to promote the power of printed communication and inform and counter misconceptions about the environmental impact of paper-based media. 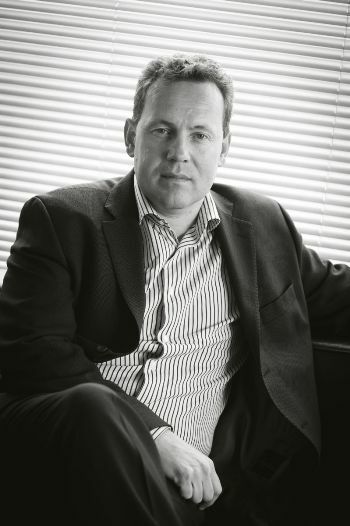 Commenting on the company's decision to join the Two Sides and Print Power campaigns, Richard Gray, Managing Director of Prinovis UK Ltd, said, "Prinovis UK has long advocated how the role of print can offer a return on investment to its clients over and above the digital alternatives. As one of the UK's biggest printers we are well placed, together with Two Sides and Print Power, in providing leadership on this issue and are convinced print remains one of the most important parts of the overall media mix". Gray continued, "Supporting Two Sides fits with our Corporate Responsibility, which has an emphasis and commitment to manage the impacts of our production process, and with a sourcing policy for sustainable materials." Jonathan Tame, UK Country Manager for Two Sides and Print Power is keen to develop the relationship with Prinovis UK and work together to achieve industry-wide goals. He added, "Prinovis UK's support is hugely important and testament that these campaigns are embraced by all parts of the Graphic Communications Value Chain. We're currently having great success, supported by magazine and newspaper publishers, with 'No Wonder You Love Paper', a campaign aimed at changing consumer perceptions about print and paper's sustainability." Two Sides promotes the responsible production and use of print and paper, and dispels common environmental misconceptions by providing users with verifiable information about why print and paper is an attractive, practical and sustainable communications medium. Print Power promotes the use and effectiveness of print media in a multi-channel market, to media and marketing professionals across Europe.